Being a large city, there’s plenty of things to do in Shanghai. Start your trip off with the Jade Buddha Temple, it’s an active Buddhist temple with a 1.9 metre high white Buddha. Another temple that’s worth seeing is the City God Temple which is located within the walled city. Whilst here you cannot miss seeing the Shanghai World Financial Centre, which the locals call ‘the bottle opener.’ Here you can see some of the most amazing views of the city, another place to experience jaw dropping views is from the top of the Jinmao Building, which is a skyscraper that’s 88 stories high. As Shanghai can get pretty busy, you might want to take a breather in some of the gardens around the city. 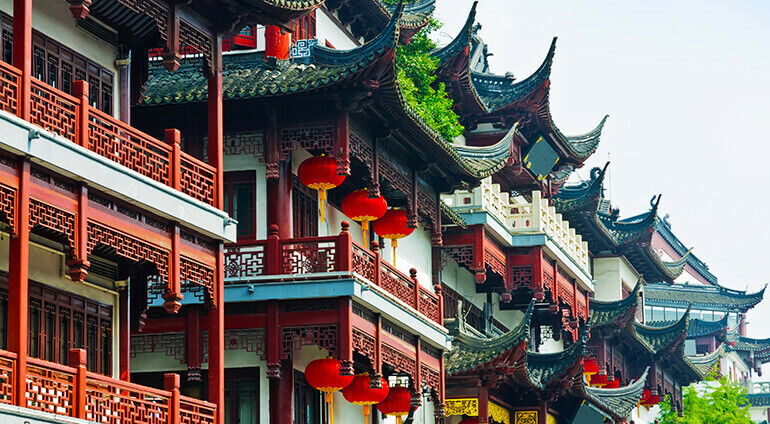 Make sure you visit Yu Garden, a place of calm within the city centre amongst trees, rocks and dragons carved from the walls. History buffs will certainly want to pay a visit to Shanghai Museum. The museum showcases some of best ancient Chinese art in the world and is located on the People’s Square. The square itself is also is a wonderful place to visit. The large space is in the Huangpu District and provides the perfect place to relax in it’s gardens. The Bund is another main tourist spot, it’s a waterfront promenade with many different styles of colonial and modern buildings as well as bars, restaurants and shops. Spend an evening watching some spectacular acrobatics at Shanghai Circus World. The shows include juggling, stunts and dancing and it’s a fun place to go with the kids. Shanghai Zoo is another family friendly attraction, there are lots of different animals to see including the famous Giant Pandas. There’s also Shanghai Ocean Aquarium and a thrilling theme park, Shanghai Happy Valley Theme Park.